Perry Taylor's humorous drawings of French country life strike a chord with Francophiles and French alike. He has been drawing his new-found French neighbours since his move to France in 2004. His much sought-after witty drawings are full of mischievous details, capturing the essence of life in South West France; reflecting his affection for its people, their traditions, culture, cuisine and sports. Originally from Oxford (1958), Perry fell in love with Gascony because it reminded him of the Cotswolds of his youth. Through his portrayals of French rural life, he's been adopted by the locals, who call him the 'Anglo-Gascon'. 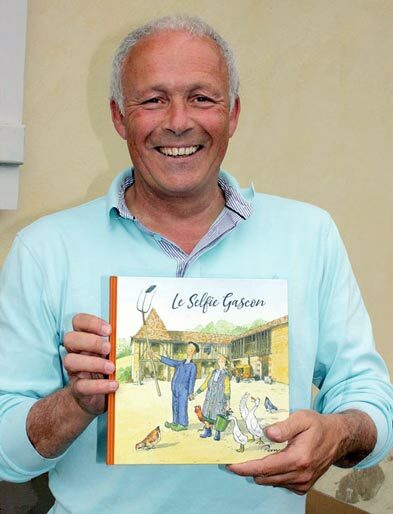 Perry's award-winning book 'Petites Gasconneries' contains over 90 drawings that provide a delightful and slightly irreverent compilation of life in the slow lanes of southern France. 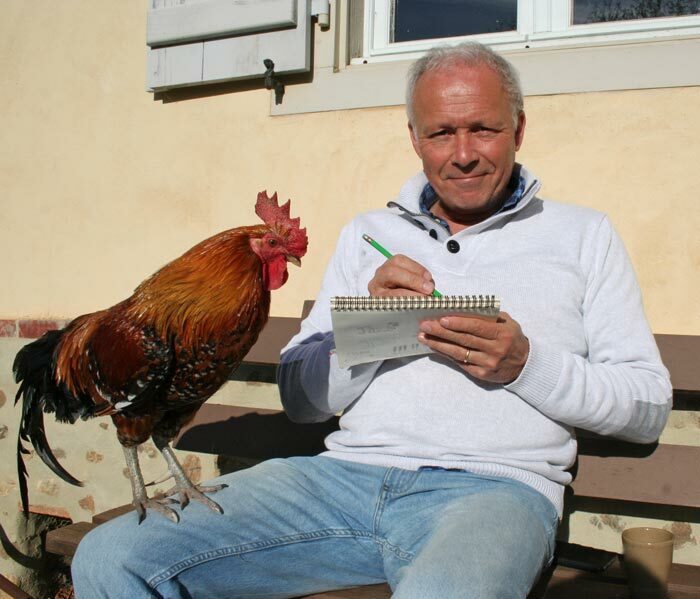 He has since published 'Bons Moments' in 2016 and his latest book, 'Le Selfie Gascon', is released in June 2018. The original ink drawings are now available, as giclée reproduction prints on A4 and A3 art paper, on greeting cards and on large format canvasses. Dedications on prints and the book are also possible. Perfect as gifts or souvenirs of life here in the slow lane. Perry has around 30 years of advertising and graphic design experience in his back pocket and now enjoys life working from his home in the Hautes-Pyrénées. His work can be seen at exhibitions, art fairs and cultural events across the south west of France. For details of his appearances, check the EVENTS and EXHIBITIONS sections.